If you're a Christian who likes to read, sooner or later someone will recommend G. K. Chesterton's Father Brown stories. They've certainly been recommended to me on multiple occasions, usually with adjectives like "charming" and "delightful". I was always at least somewhat interested. I do make a point of seeking out fiction in which the Christian faith plays a significant role, especially when that role is not "evil oppressive antagonist". A series of detective stories where the amateur sleuth is a Catholic priest, written by one of the most renowned Christian apologists of the twentieth century? What's not to like? Plenty, as it turns out. But the fault may lie in me as a reader more than in Chesterton as a writer. One of the acquaintances constantly recommending Chesterton finally handed me a stapled copy of "The Dagger with Wings", printed (I believe) from some online source. He thought this story would be a good introduction to Father Brown, and Chesterton's work in general. In "The Dagger with Wings", Father Brown has been asked by an officer of the local police force to go talk to a man who's requesting police protection. Both the man's brothers have recently died, one an apparent suicide, the other in a factory accident. The surviving brother, however, believes that both were murdered and that the murderer is coming for him next. Why does he believe this? Well, the three Aylmer brothers were born when their father was fairly old. 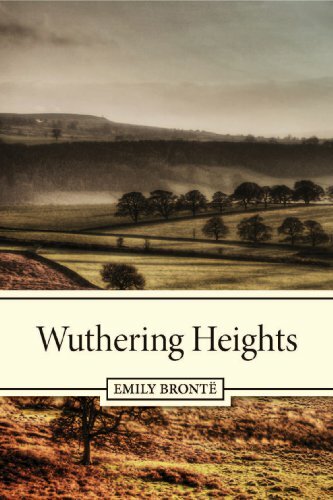 Sometime before the father got married, when he assumed he was going to die a bachelor with no heir, he adopted a boy whose "origin seems to be vague; they say he was a foundling; some say he was a gipsy" (does this remind anyone else of Wuthering Heights?) When the old man died, he left most of his considerable estate to this adopted son and almost nothing to his "real sons". They disputed the will, claiming that the adopted son, John Strake, had intimidated their father into disinheriting them, and that their father hadn't been in his right mind when he did it. The courts took the sons' side, and they got the inheritance instead. Strake was furious and threatened to kill them all. Since there's no evidence of foul play in the first two brothers' deaths, the police department isn't sure how seriously to take the last brother's claim that Strake is coming for him. Is he in genuine danger, or simply delusional? Father Brown is supposed to call on the fellow and do what we might call an informal psychiatric evaluation (Catholic priests apparently being in greater supply in 1920s rural England than actual psychiatrists). So, first of all, I'm probably not the ideal reader for these stories. While I did go through a phase in high school where I read almost all of Agatha Christie's novels, I'm not a big mystery fan. I'm especially not a fan of detective fiction at the short story length. There isn't space to introduce enough characters to make it at all challenging to figure out who the murderer is. In this particular story, we have Father Brown, "Aylmer" (actually Strake), and Dr. Boyne at police headquarters who sends the detective on his "quest". That's it for speaking parts. I knew Father Brown couldn't be the murderer. Dr. Boyne seemed equally unlikely, as we hardly see him at all. And the fake Aylmer acts suspiciously erratic all the way through their conversation. It's a bit of a twist that he isn't actually Aylmer at all (though reasonably well foreshadowed), but it wasn't that much of a leap to conclude that the apparently unbalanced fellow rambling on about hell-hounds and white magic was probably the real murderer, whomever he turned out to be. My understanding is that the debunking of an apparently supernatural explanation is pretty common in Father Brown stories. And while I can appreciate this in real life,* it's not why I read fiction. I was also bothered by some of the story's underlying assumptions. Look at the back story from John Strake's point of view. An impoverished child in Victorian England, either orphaned or abandoned by his birth parents. For whatever reason, some wealthy landowner decides to adopt him. Then the guy gets married and has three kids of his own (his "real sons", as the police officer explaining the background to Father Brown calls them). No, I'm not suggesting that Strake's precarious position in an inegalitarian society justifies his attempt to have his step-brothers disinherited, and his subsequent murder of at least one of them (it's never made clear whether he was actually responsible for the first two deaths). But it's not clear that we're supposed to think anything except "justice was served" when the Aylmer brothers get the will thrown out and leave Strake with nothing. Finally, there's the religious aspect. I appreciate that Father Brown is a more complex and believable Christian character than I usually encounter in fiction. That his belief in the supernatural and in the Devil doesn't mean he believes every yarn someone spins about either. Unfortunately, Strake gets to be the crazy religious fanatic, and I'm not sure the story is any more balanced in its treatment of westerners dabbling in eastern mysticism than all those other stories where one-dimensional Christians get to be the unhinged straw man villains. It's not easy to write fiction about religion or spirituality--or any strongly-held views--without making the protagonist a clever mouthpiece for your own opinions. It's also difficult to make characters express beliefs you disagree with, and may even consider harmful to society, without turning them into obvious villains or shallow caricatures. But until you can, no one who doesn't already agree with you will accept that you understand what you're arguing against (a corollary of the Chesterton's fence** principle, perhaps?). I didn't dislike "The Dagger with Wings", exactly. Some of the prose is lovely, Father Brown gets some great lines, and I wouldn't have so many complaints about the way the story treats Strake if Chesterton hadn't filled in just enough of the back story to make me think there was more going on under the surface than even the author had imagined. But, unless someone can convince me otherwise, the other Father Brown stories will probably stay pretty far down on my ever-lengthening to-read list. *I believe that demons exist and are active in the world, but also wish that evangelical Christians would be a little more circumspect about blaming so many negative outcomes or feelings on "spiritual oppression" or "spiritual warfare", especially in cases where there's a reasonable explanation that doesn't depend on the supernatural. Double especially when the reasonable explanation is that you were disorganized, or slacked off, or couldn't come to agreement with other members of your church committee because everyone insisted on getting their own way (or any other situation where blaming demons might be an attempt to absolve yourself of responsibility). **Chesterton's fence: In his 1929 book The Thing: Why I am a Catholic, Chesterton writes, "In the matter of reforming things, as distinct from deforming them, there is one plain and simple principle; a principle which will probably be called a paradox. There exists in such a case a certain institution or law; let us say, for the sake of simplicity, a fence or gate erected across a road. The more modern type of reformer goes gaily up to it and says, 'I don't see the use of this; let us clear it away.' To which the more intelligent type of reformer will do well to answer: 'If you don't see the use of it, I certainly won't let you clear it away. Go away and think. Then, when you can come back and tell me that you do see the use of it, I may allow you to destroy it.'"